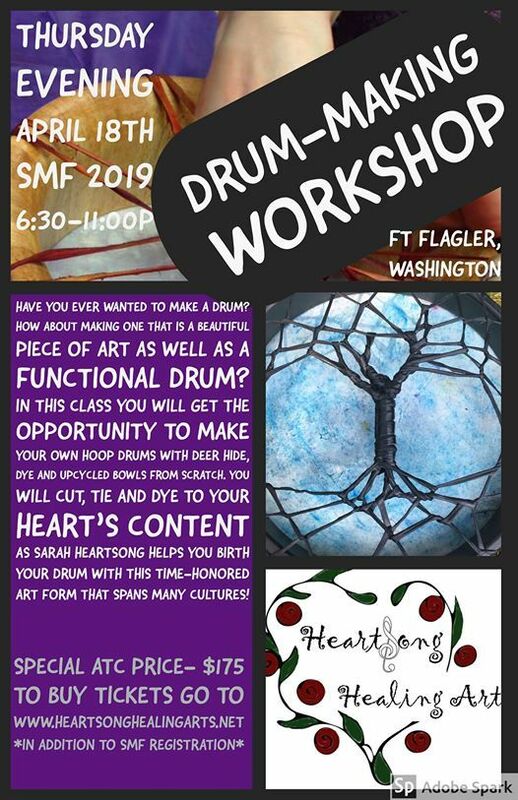 A specially discounted Drum-Making Workshop will be held at Spring Mysteries Festival (Aquarian Tabernacle Church's recreation of the Eleusinian Mysteries) Thursday evening from 6:30-11:00p (or so) in the Dining Hall. If you have you ever wanted to make a drum you just "Know" you need and it needs to be you that makes it? ...then this workshop is for you! As a special benefit of doing your drum making at Spring Mysteries Festival remember that the drum will be drying over a couple days so it will be "Setting" while you are going through the Mysteries. You will also have an opportunity to take it with you to Shrine Visits with the various deity and have Them put Their special blessings into the Drum while it is drying. Sarah Heartsong makes beautiful drums (available for sale on her website: www.heartsonghealingarts.net and she will bring some to sell at the event). She is excited to help you bring your sacred tools to life. She will walk you through your creation and will bring everything you need- deer hide, upcycled bowl hoops prepared (between 9-12"... if you want a bigger drum there is a slight upcharge due to more expense with the supplies). 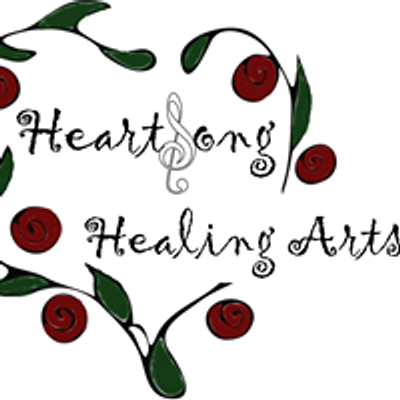 Once registered Heartsong will contact you to talk about what kind of hoop you want so that she brings one that can work for your Vision. 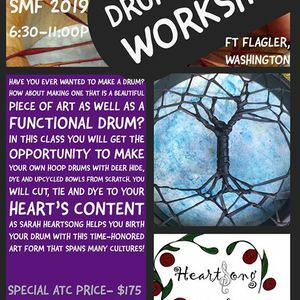 Register by purchasing a ticket at https://heartsonghealingarts.net/shop?olsPage=products/smf-drum-making-workshop. Once ticket is purchased Sarah will contact you to talk about your vision for your drum. Sarah can also set up payment options for people who want to register and need to make payments, so message her directly or email her at aGVhcnRzb25nd29tYW4gfCBnbWFpbCAhIGNvbQ== if you need that option. The entire workshop will be held in sacred space beginning with a Journey to help you tap into Guidance regarding the Drum's "Making". You will cut, dye and string your drum with Sarah's talented help. You will have the opportunity to dye the drum if you want while it is wet. The drums will leave with you wet and will need to dry to get to the final stage where you can hear the true voice of your drum. (Takes several days.) You can add decorations after the drum has dried. Start looking for a stick to be your drum beater. If you find a good one that Calls to you, bring it along! Sarah will also bring tanned leather and colorful cotton string for making a drum beater. It's best to find the stick and make your own mallet if possible and you can also make a drum beater at the end of the workshop if you end up with time. So, you can either bring a stick or find/cut one in the woods on site upon arrival prior to the workshop. If you decide to dye the hide your hands will probably end up dyed as well... Wear comfy clothes, you won't be upset if they get some dirt/dye on them... this is a Crafting and we'll be playing with dyes so dress accordingly. *** There will be a slight up-charge if you desire to make a drum over 12"
*Payments plans can be arranged if you need - contact Sarah directly either phone or email to aGVhcnRzb25nd29tYW4gfCBnbWFpbCAhIGNvbQ== to discuss if desired. Participants limited to a total of 10 and it's possible you could be the only student as we have no minimum. If there are celebrants who want to make a drum we will show up and teach you. Student under 15 years old? Let's talk.